D’Anjou is known as the standard for winter pears which is a late ripening pear that displays strong storage characteristic. Buerre D’Anjou pears are mildly sweet with short necks and very smooth textured skin. 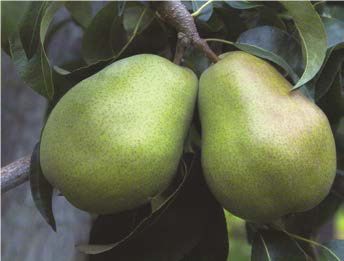 Unlike Bartlett, pears do not change from green to yellow at maturity.